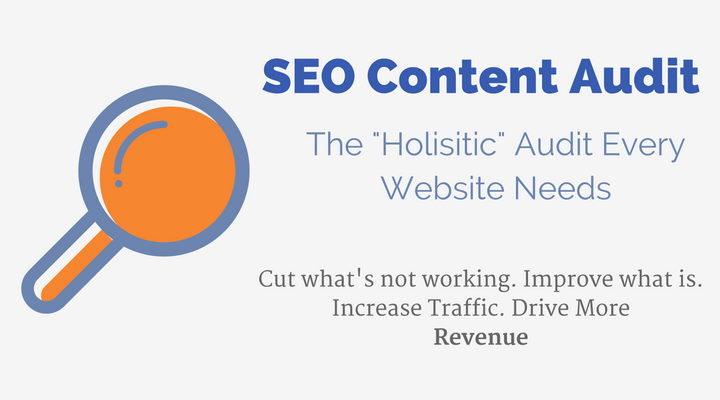 If you feel that your content isn’t driving the traffic that you know your website is capable of, it’s likely that you need an SEO content audit. Search engines (especially Google) are refining their algorithms to increase focus on overall website content quality, and having low-quality pages indexed in search engines puts your website at risk with algorithm updates and overall ranking potential. An SEO content audit will help your website uncover its true search engine ranking potential. Dan Kern has conducted more SEO content audits than most consultants in the industry. Working with Kern Media ensures that your audit offers expert detail and actionable recommendations to grow your website’s organic search traffic and revenue. Improve overall content quality by identifying how to refine your website’s indexation in search engines. Protect your website from Google algorithm updates and potentially benefit from future updates. Increase search traffic and conversion potential by identifying pages, currently receiving traffic, that can be improved with better optimization, formatting, etc. Creates more authoritative content by combining multiple pages about the same topics and increasing your ranking potential in search engines. Increase conversions and drive more revenue or subscribers by identifying Calls-to-Action (CTA) improvements. Improve search bot crawls and ranking potential by identifying and fixing technical SEO issues that may be holding your website back. Increase and expand keyword ranking potential by identifying opportunities for metadata improvement, keyword targeting and keyword gaps. Content audits involve a complex process, and to do it right you need more than a content audit tool that you might find during your research. I’ve yet to see a content audit tool that can deliver the level of insight that an expert human review can provide. Let’s dive into the process so that you can see the extent of human review that is needed for a proper content audit to be conducted for your website. My process starts with crawling your website with search bot simulator software in order to create a “content inventory” which will serve as the foundation of the content audit. Important data such as URLs, HTTP status codes, meta page titles, meta descriptions, H1 titles, meta robots tags, canonical URLs, word count and other data is pulled together in an organized fashion via crawling your website with a tool such as Screaming Frog. This data is necessary for a detailed website content audit, and it lays the foundation for analyzing your website content in a similar manner to how search engines will analyze it to determine quality, ranking, etc. Identifying these errors and missed opportunities is just the start of a content audit, and it often provides a number of “wins” to help create a more crawl-friendly website for search engines. Typically, website crawls don’t always identify all pages on your site. This is because some of your pages may not be properly linked from other internal pages. By exporting landing pages from Google Analytics, we can create a more complete inventory for conducting the content audit. This is an important step, and skipping it will result in an incomplete audit. Once the inventory is complete, it’s necessary to pull in key traffic and conversion metrics in order to determine which content is “working” for your website. Typically, organic search traffic session and conversion data is pulled in for every page, along with key metrics from Google Search Console (clicks, impressions, CTR and average ranking position). This data is critical to conducting an in-depth content audit. The final step is to create a strategy document that curates the findings from the content audit so that you and your team can digest the key takeaways. Typically, the findings are striking. Most companies realize that the vast majority of their content is not performing (driving traffic and/or conversions), and that some of the website content actually poses a quality risk to the website’s overall ranking potential in search engines (especially Google). Pragmatic, step-by-step recommendations will be made to help your improve your overall website content quality. The content optimization strategy will also include keyword researching your top pages to better optimize the metadata and body content, which is critical to improving the ranking of your content in search engines. 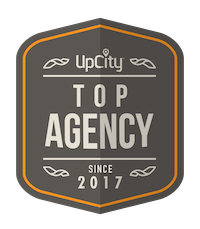 This typically becomes an ongoing process, where I work with clients to keyword research their entire website over a period of time. Smaller websites can often be keyword researched as part of the initial content audit project, however most websites are large enough that the keyword research efforts can be extensive and require ongoing efforts. But, they pay off in a tremendous way. Aligning your content pages with the keywords that your target audience uses to (potentially) can have an incredible impact on growing your organic search traffic. I have been conducting content audits since they first become popular, and I’ve done more than most people in the industry. I’ve refined my content audit process over years of analyzing many different kinds of websites (E-Commerce, lead generation, online publishing websites, etc.). I have the experience to ensure that you get an accurate content audit full of takeaways that can help you to improve your overall content quality. Let’s talk.